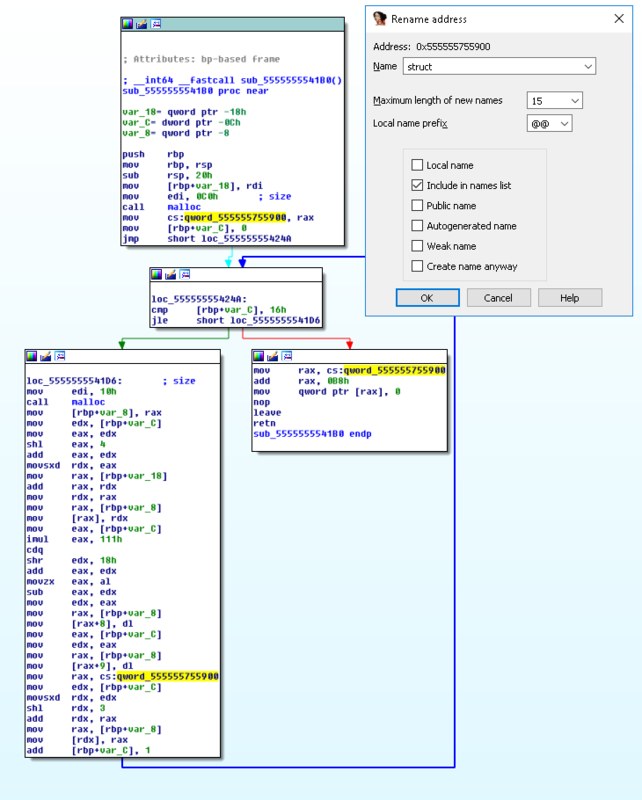 This Write-Up is about solving the m0rph challenge from 34C3CTF using IDA Pro and radare2. I chose this to start on, because it looked easy to me and was marked easy. So I planned on doing a detailed step-by-step guide. First thing we notice is that the target is quite small. So, file output suggest we got a stripped 64-bit ELF executable. Starting it with various inputs gives us nothing but a non-zero exit-code. What are you waiting for, go submit that flag! It looks like morph might just check a flag we submit for validity! Next, we are going to load it up in radare2. Then we start morph in radare2 and print the entrypoint with ie. We see, that the base address of our executable is at 0x555555554000 and the entrypoint is at 0x5555555547a0. 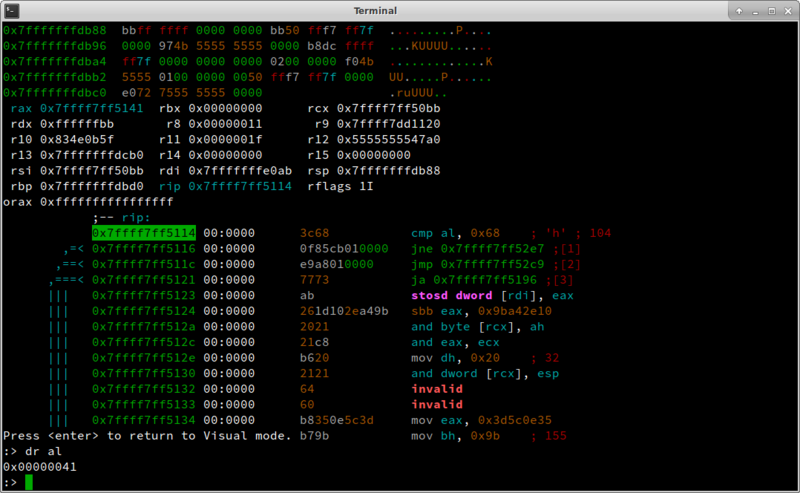 Next step is to disassemble morph with IDA Pro. First thing we do after letting the auto-analysis finish, is rebasing the program, such that all addresses correspond with the ones observed in the debugger. 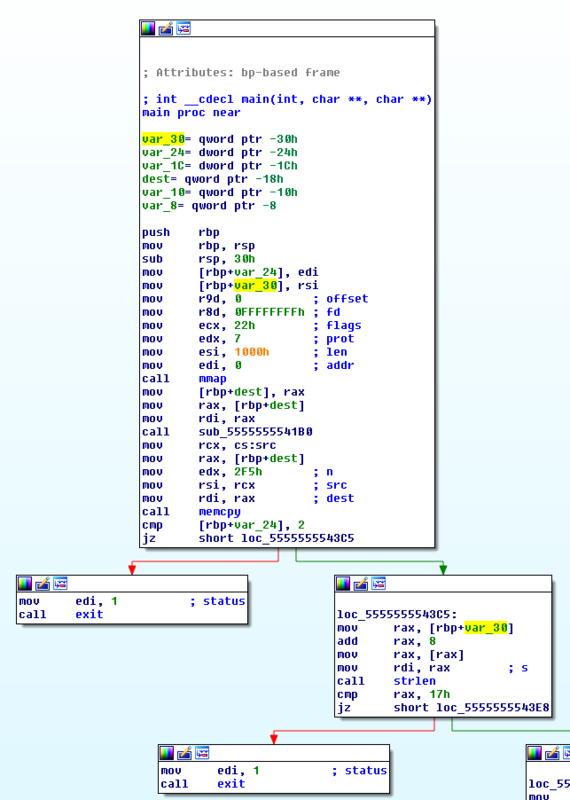 To do this we use Edit | Segments | Rebase program… and entered the base address we observed in radare2, 0x555555554000. After rebasing, we start examining the main function and can immediately see two checks that look a lot like checking argc and the length of argv - and which get assigned at the very beginning (see Figure 1). So we can rename var_24 to argc and var_30 to argv. Now we can assume that morph takes one argument and it has to be 23 characters long. The function sub_5555555541B0 allocates and sets up some structure with 23 elements at the location qword_555555755900. We rename this location to struct, call this function setupstruct and also change its type to __fastcall (see Figure 2). We could now immediately start creating a proper structure in IDA Pro, but let’s try to get an overview of the program first. Examining sub_555555554267, we see that it just shuffles the elements of struct randomly. In the the lower part of main, we can see a loop and rename the loop variable loop_i. What we cannot follow here are the two call eax we see in Figure 3. Let’s figure out what happens there with radare2. 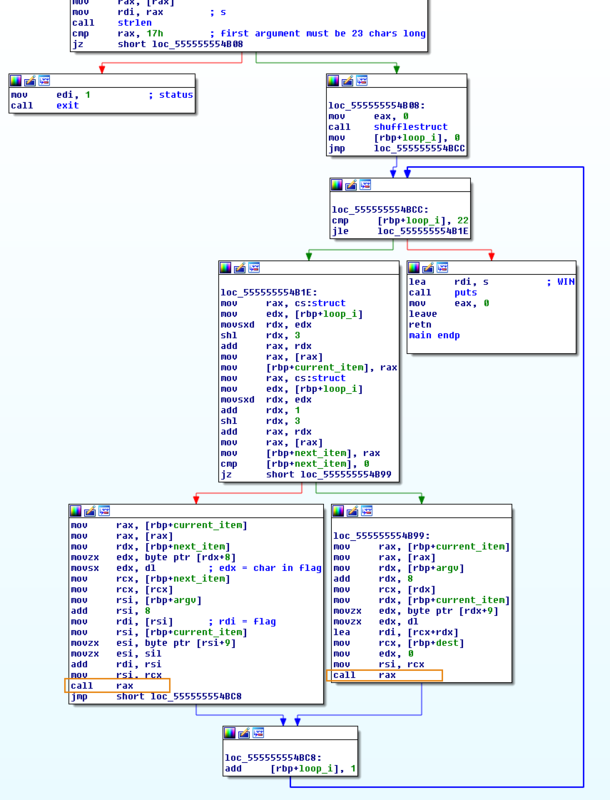 From the normal view in IDA Pro we can see they happen at 0x0000555555554B95 and 0x0000555555554BC6. We start morph with an initial guess based on the known flag format, set breakpoints on the call eax instructions with db and continue the program with dc. 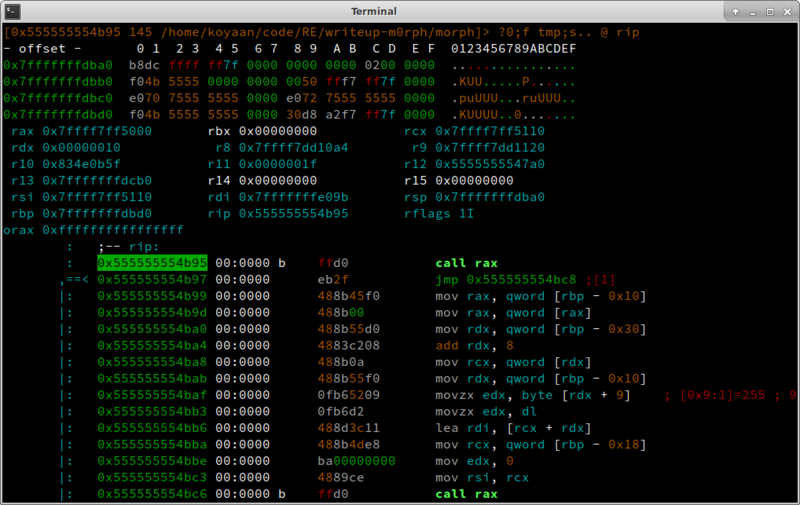 We then use V to go to visual mode and p two times to cycle to debugger view (P cycles backwards). This leaves us at the view of Figure 4. We now step into the call with F7 and step more times until we reach the cmp instruction (see Figure 5). 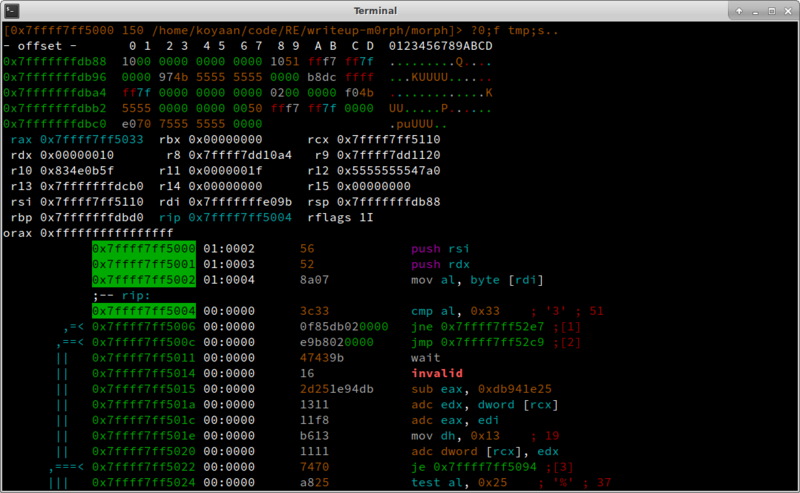 We hit : to get into command mode and enter px 23 @ rdi to dump 23 bytes in hex-format starting from the address stored in rdi. We can confirm this is our flag under scrutiny! Since this check is fine, let’s continue with dc, step 4 times (4ds), seek to rip (s rip) and hit enter then to go back to visual mode (see Figure 6). We see one of the ‘A’s is getting compared to ‘h’ (cmp al, 0x68). We see which one by printing px 23 @ rdi again. Subtracting this from the known start address gives us the numerical offset into the flag with the evaluate command ?. We see that the 23rd character should be a 0, so we restart with ood 34C3_AAAAAAAAAAAhAAAAA0 and so on, reconstructing the flag character by character.